by Harold Ivan Smith. Louisville: Westminster John Knox Press, 2017. I enjoy pondering on an author’s dedication. Some can open a window on any number of emotions experienced by the author at the conclusion of a completed text. Others can be coded messages to those closest to the writer, they can also be witty, they raise questions for the reader about the context of names and places, and they can often set the tone for the forthcoming read. The dedication written by Harold Ivan Smith author of Eleanor: A Spiritual Biography, The Faith of the 20th Century’s most Influential Woman, [Eleanor Roosevelt] sets the tone of this biography for me, at a number of levels. 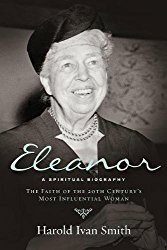 He thanked ‘the Archivist ‘par excellence’ for his ‘sage advice’ to set himself the task of exploring ‘the spirituality of Eleanor’ Roosevelt. Archivists are aware of potential areas of their collections that are under researched. That ‘moment of indecision’, which many writers experience, myself included, meant he was advised to, “Write the Book!” and another wise counsel with a head full of stories of Eleanor Roosevelt, helped him ‘clear hurdles throughout the entire [writing] process’. Harold Smith sets the perimeter of his focus from the outset. ‘Eleanor’s faith was personal but never private’, he writes. She never hesitated to share in her conversations, writings, speeches and activities, her ‘reading of scripture, the examples of Jesus, her own prayers and the divine call to work for a more just and peaceful world.’ By opening with ‘What Religion Means to me’, an article Eleanor wrote in 1932, in the magazine Forum, Smith conveys Eleanor’s faith as central to her role as First Lady during her years in the White House and those that followed until her death in 1962. Spirituality, to Eleanor, was ‘that feeling of having something outside of one’s self and greater than one’s self to depend on.’ An Episcopalian, her evolving ecumenical spirit meant for her that ‘all people are one in Christ’. This resulted in a broad and liberal faith in which social justice was an imperative, especially for those most vulnerable. She held a deep love for the Bible and learned off by heart the New Testament, in French. This held her in good steed when challenged and criticised by the conservative Christian community. Framed on her bedroom wall were the words ‘Lord, make me an instrument of thy peace’; words she also carried on her person. These words became her prayer for action evidenced in all her activities. Growing up in such a diverse and gathered population as found in the United States, it is difficult to escape the biases and prejudices that can evolve and become rooted in a culture. Eleanor was confronted by many of these in her comfortable and elite environment. Anti-Semitism that surrounded her during her growing up, both within her family and American society at large caused her some angst as she reached adulthood; Jews were viewed as too powerful, too financially and politically influential and were ‘a menace to America’. Despite her latent bias Eleanor, guided by her belief in the God-given worth of peoples regardless of creed or race, stepped out to do all she could for the persecuted Jews of WWII. This is one of the most poignant yet chilling chapters in the biography and is a reminder of how continuing prejudices that emerge as a result of the social affects of modern warfare become deeply rooted in society. Her tireless efforts for rehabilitation of the Jews led to an appointment to the United Nation Delegation on Humanitarian, Social and Cultural Concerns Committee where, as Convener, the same determination saw the Declaration on Human Rights be put in place and her commitment to the creation of a Jewish homeland – Israel. Her greatest regret at the end of her life, one she could not be dissuaded from, was that she should have done far more. Although Eleanor was heavily criticised and judged for her Jewish stance, so she was on her advocacy for Civil Rights and the ending of segregation. Her unyielding opposition and outspokenness to segregation made her extremely unpopular, particularly in the South. She was much maligned by harsh and often brutal criticism. It distressed her that the Bible could be used in two such opposing points of view, but she did not waiver from her firmly held belief that there was one fundamental law – to love one another and to care for the ‘least of these’. Eleanor regularly reminded her readers in the post-World War II era of unrest, that America, as a Christian country did not mean exclusion. ‘Differences in religious belief are inherent in the spirit of true democracy’, she wrote. ‘One’s Christianity and one’s democracy should lead to greater tolerance.’ Her support of the ecumenical activities brought to Americans attention the significance of accepting a diversity of religious practices. ‘I think I believe that the Lord looks upon all His children with compassion and allows them to approach Him in many ways’. Eleanor, a Spiritual Biography is an insightful exploration of the faith journey of an extraordinary woman who lived through a dysfunctional childhood, a challenging marriage, a political role she did not desire, economic and political upheavals, and shifting societal turbulence. Often the religious motivation that supports a person’s activism is glossed over or taken for granted. Harold Smith however, has gone to considerable effort to draw together Eleanor Roosevelt’s beliefs and Biblical understandings in relation to her activism and American culture during her life time as she perceived it. Eleanor: A Spiritual Biography is a well researched and enlightening read. It’s easy to forget what one has on ones library shelves, I realise. I was reminded of this as I began to sort my bookshelves. What fun I’ve had thumbing my way through forgotten titles. I was particularly delighted to discover a number related to the UK suffrage movement. I noted inside A Guid Cause-The Women’s Suffrage Movement in Scotland, by Leah Leneman, that this book was purchased at the Women’s Berkshire Conference, held at Vassar College in 1993. My most vivid memories from that Conference was being part of a group of women with like-minded interests, being presented with new ideas through some wonderful presentations, meeting historians that I had high regard for, and most of all sharing all this with my son and daughter-in-law. I do recall morning and afternoon tea baskets piled with large and tempting looking muffins only to be reminded that some baking in the US had a tendency to be drier than New Zealand commercial baking. Another memory that has remained with me is the hum of motorway traffic throughout the night and just how far sound can travel. I did get rather carried away with the bookstalls at the Conference and arrived home with a small suitcase filled with some great purchases. There were no excess weight charges, yet it was a heavy bag; maybe weight wasn’t such a problem then? I stray a little, back to the Suffrage collection in my library. The majority of these books are Virago Press publications, which multiplied somewhat when I studied women’s history at University. The University Bookshop in Great King Street, Dunedin, had periodic sales where I gathered a good many of them. The Press, formed in 1977 as a feminist publishing company, not only brought to our attention women fiction authors that had long been forgotten, women authors popular in their time but out-of-print, but also the writings of feminists thinkers such as Shelia Rowbotham, Adrienne Rich, Elaine Showalter among others. A series, which covers early women travellers, is totally fascinating and the more recent modern novels of Margaret Atwood, Sarah Waters and others have since been included. Biographies, some covering Victorian women as well as those well-known and not so well known Suffragettes dominate this collection of mine. Names such as May Sheepshanks, Sylvia and Christabel Pankhurst of course, Lady Constance Lytton, Alice Weldon, Hannah Mitchell, Rebecca West and Margaret Macpherson; most housed on a high shelf that I had rarely stretched up to retrieve. Sadly from the perspective of my current research, most of these biographies focus on women outside Scotland, reflecting very much the focus of previous decades. Militarism versus Feminism; Writings on Women and War, edited by Margaret Kamester and Jo Vellacott is proving significant however, highlighting a non-militant and pacifist approach, which Molly Whitelaw and her parents supported. 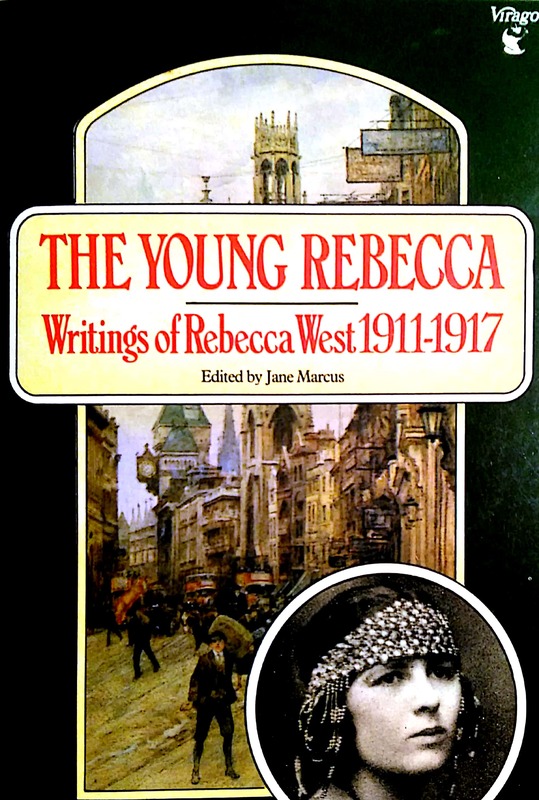 It is Rebecca West’s (now Dame Rebecca) journalistic pieces and essays in The Young Rebecca; Writings of Rebecca West, 1911-1917, ed. by Jane Marcus, I am marvelling at. What an amazing young journalist who fearlessly expressed her opinions, generally in the radical and feminist press, The Freewoman and The Clarion, and later the Fleet Street, Daily News. [Coincidently, the newspaper where Alastair Shannon, Molly’s brother, began his career in journalism in 1918.] That Rebecca West could offer such frank opinions highlights the shift that had occurred in newspaper journalism towards mass readership during the first decades of the 20th century. News moved from direct reporting to one of journalistic interpretation, where it was heavily edited, rewritten and contextualised. This new approach helped to influence public opinion for or against any single issue. Women’s pages also became a popular feature from the turn of the century. In fact the New Zealand Presbyterian Outlook, under the editorship of the Rev. Rutherford Waddell, introduced a column Women’s Outlook from 1893. 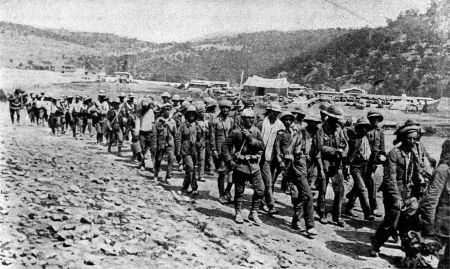 One hundred years on, West’s writing has a resonance that continues to parallel women’s issues even today. So much so, I feel as if we’ve not come as far as we would like to believe. She confronted issues on equal pay; she challenges writers’ narrow and conservative opinions on the issues of, marriage, divorce, education and capitalism. These journalist pieces are all very quotable. In an article on ‘Wages and Women: Black-legging and Timidity’ she takes to task a writer who suggests that the required wireless operators on American coastal shipping could be ‘,a self-reliant woman with cool nerves and efficient brain’. Although West was not supportive of the militant action of the Suffragettes she was somewhat bemused with the reaction to the burning down of the tea-house in Kew Gardens. She notes ‘it was only a little one’; the tea-house that is. What surprised her most however, was the public’s reaction. 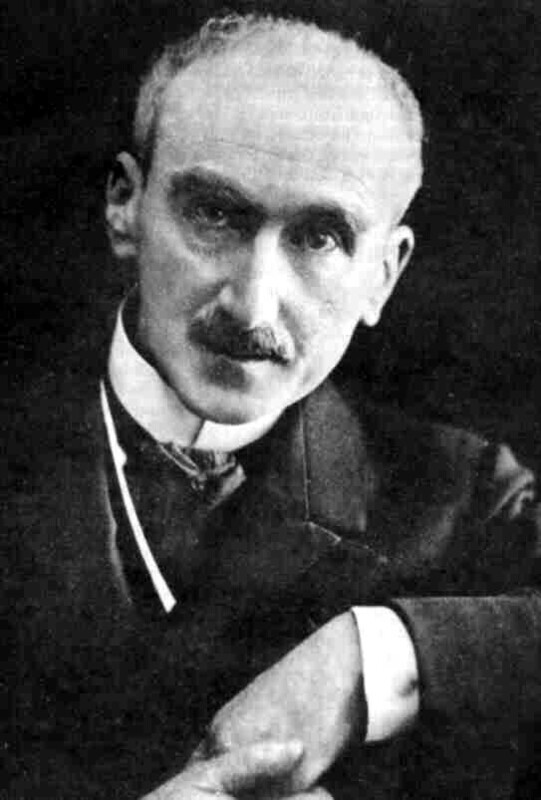 ‘I have no idea why the public should suddenly show a maudlin affection, such as they usually reserve for the royal family, for the late tea-house, but I can understand why all those who love the good, the true and the beautiful must unite in deploring the bomb outrage upon the house at Walton Heath’. A house owned by Sir George Riddell owner of the conservative imperialist The News of the World, a journalistic ‘fertiliser’ … that nourishes the imagination of a million and a quarter Englishmen every Sunday morning.’ Lloyd George, an ardent anti-suffragist was about to move into this now shattered home so in effect the suffragists ‘killed two birds with one stone’ to put it rather crudely. 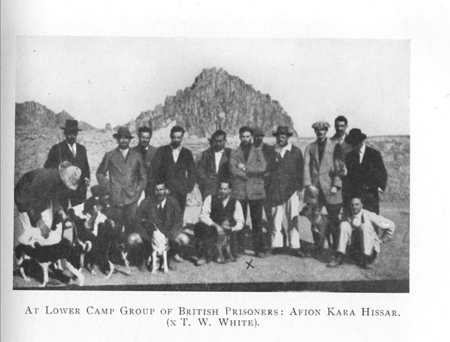 After dipping further into other militant acts and the resultant punishments, West begins her conclusion by considering the causes behind such militant acts and their programmes of hunger strikes and punishment of forced feeding. ‘Perhaps’, she wonders, ‘I over-rated the orchids. Perhaps, so long as the country tolerates a state of things which drives women of fire and honour to seek such torturing ways of death, it is right to destroy all the lies of beauty that pretend that the world is a fine and lovely place. Perhaps it is right to punish the gross for their destruction of the spiritual beauty of revolt by destroying the tangible beauty, which is all they [the Government and authorities] can understand’. ‘… We are paying the price for our toleration of a Government that upholds the cause of anti-suffragists and the will of the parasite women’. Her articles ‘were serious and unsettling no less for radicals than the rest of the population’. Her comments at times especially regarding men could be ‘acid and cutting’. ‘English women are handicapped by the fact that men have passed laws encouraging female morons’. She was an outstanding critic whether through her book reviews, essays or her political commentary, especially if socialists were falling short of their values. Her journalist writing reflected her breadth of reading and her ability to get to the core of the issue being debated. 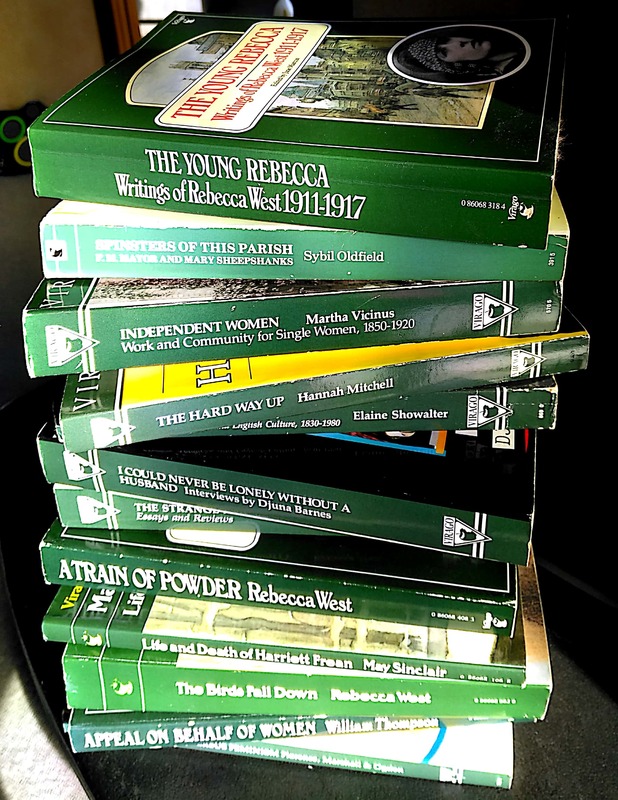 Rebecca West would continue to write fiction, biography, critical essays and reviews, even travel books until her death in 1983 at the age of 91. I found her reflection on the Nuremberg trials A Train of Powder, which I read twice, to be astonishing as she explored the ‘nature of crime and punishment, innocence and guilt, and retribution and forgiveness’; a truly evocative piece of journalism. Donald Matheson, Media Discourses, Open University Press, England 2005.